This tutorial will show two different methods to tell the number of calories and macronutrients present in a particular food item when editing a meal plan. 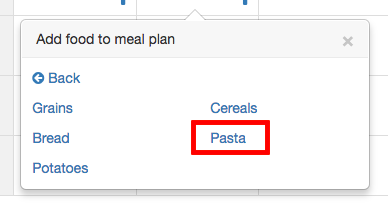 For the sake of this example, we will consider "Whole Wheat Pasta" as the food item in question. 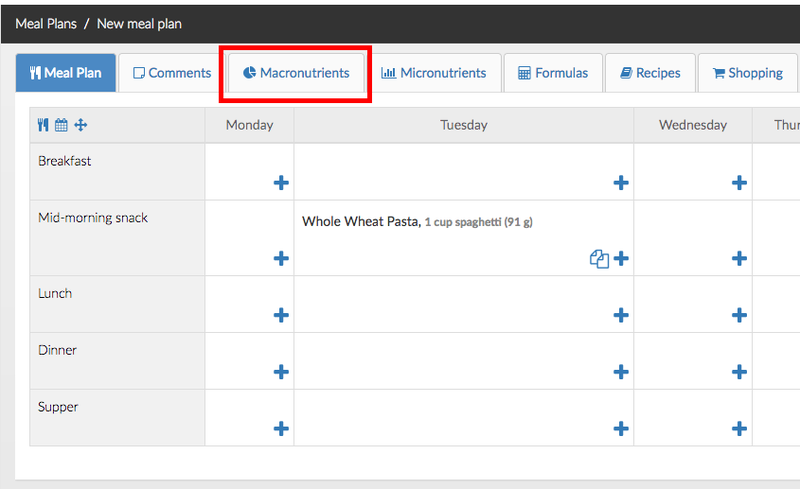 Step 1: Click on a plus symbol to add a food to a cell in a meal plan. Step 2: Click on Choose by category. Step 3: Click on Grains and Starch. Step 4: Click o Pasta. Step 5: Hover with your mouse over Whole Wheat Pasta. 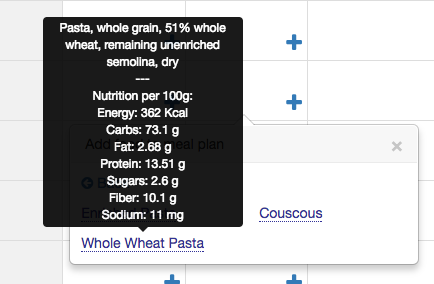 You will see a tooltip containing nutritional information about your food item. The method above is useful when you want to check the nutrients of a food item before adding it to the plan. This second method is for foods that you have already added to the plan. To check the nutrients of a particular food item using the macronutrients tab, follow the steps below. 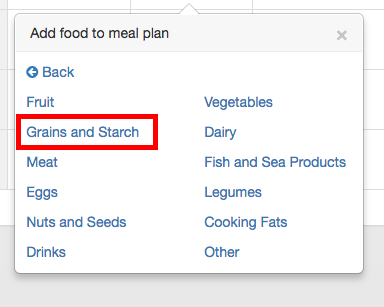 Step 1: Click on the Macronutrients tab. 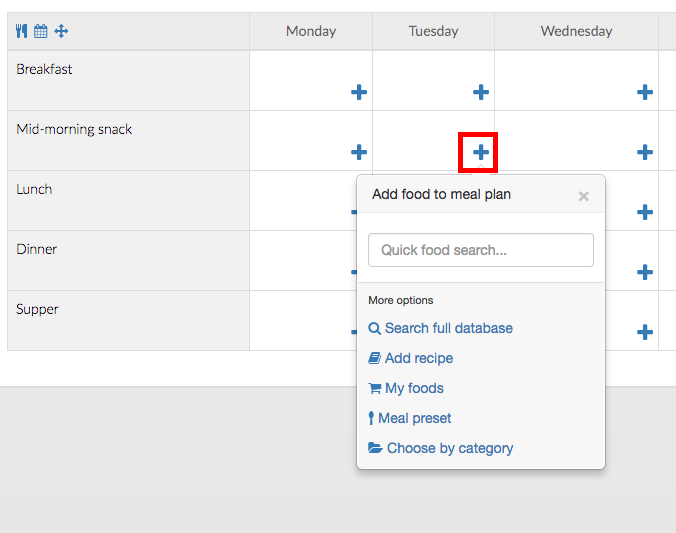 Step 2: Click on Show details for the day of the meal plan where the food you want to check was added. Note: If your meal plan is for just 1 day, you can skip step 2. Step 3: Find the food you were looking for in the table and you will be able to see it's macronutrients and energy.